More than a month before the official start of winter, residents of parts of the United States are being blanketed with snow and hit with frigid temperatures. But the infamous polar vortex that sent Americans shivering last January isn’t the only weather system responsible for this unseasonably cold weather, experts say. 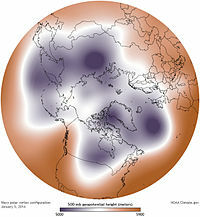 The typical polar vortex configuration in November, 2013. The early onset of winter has manifested itself in different ways across the country, dumping more than 2 feet (0.6 meters) of snow in parts of Michigan and sending temperatures plummeting in places like Colorado. Even states in the South haven’t been spared. In San Antonio, Texas, residents are enduring temperatures that are a full 20 degrees colder than average for this time of year. On Nov. 5, NASA’s aqua satellite captured this image of Typhoon Nuri, the storm that combined with an extra-tropical system to form the low pressure system known as the “Bering Sea bomb.” That weather system is, in part, responsible for the cold weather now chilling the U.S.
It’s easy to pin the blame for this wintry blast on the so-called polar vortex, a swirling mass of frigid air typically found over the Arctic that occasionally ventures southward. But the vortex is just one of the culprits for this week’s cold snap, said Tom Kines, a senior meteorologist with AccuWeather. “It helped deliver the cold air, but the so-called polar vortex isn’t going to be sitting over the U.S. for days and days,” Kines told Live Science. In fact, the vortex is retreating northward into Canada right now, he said. The reason the cold weather isn’t heading back north with the polar vortex is simple: There’s something in its way. That something is a jet stream, a river of wind that typically sits about 20,000 feet (6,100 m) or more above the Earth’s surface and influences how air masses and weather systems are distributed. But as the people shoveling snow in Michigan already know, the jet stream has not been blocking any cold for several days now. 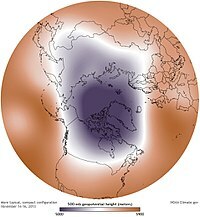 The jet stream has plunged southward, Kines said, and the cold air generated by the polar vortex has plunged with it. “It’s kind of like opening the floodgates: When the jet stream plunged south, so did that cold air,” Kines said. This particular polar vortex was strengthened by recent weather events in Alaska — in particular, the so-called “Bering Sea bomb,” a record-breaking low pressure system that formed over the Pacific Ocean when Typhoon Nuri merged with an extra-tropical system from Siberia, said Roberto Mera, a postdoctoral researcher in the Department of Marine, Earth and Atmospheric Sciences at North Carolina State University. The Bering Sea bomb caused a strong bend in the jet stream pattern, forming a sort of slide through which cold air from the Arctic could whoosh down into states east of the Rocky Mountains (such as Minnesota, Wisconsin and Michigan), Mera wrote in a blog post for the Union of Concerned Scientists, a nonprofit science advocacy organization. And there’s more chilling news for states that have yet to feel the polar vortex’s icy breath. “There will be another surge of Arctic air associated with the polar vortex heading south next week, which will reinforce the cold across the northern half of the U.S.,” Kines said. The north-central states — the ones who already got clobbered — will probably feel the brunt of this new surge on Monday (Nov. 17). But then, the cold will push eastward, leaving its frosty fingerprints all over the eastern part of the country by Tuesday (Nov. 18) or Wednesday (Nov. 19), Kines said. Still, the relative warmth of the Atlantic Ocean waters will make it unlikely that coastal areas of the Northeast will experience heavy snowfall, Kines said. This means people in places like New York and Boston shouldn’t have to get out their shovels just yet, Kines noted, but interior parts of the Northeast, as well as the Appalachians, could see snow. If you’re looking to ride out the rest of the fall season somewhere warm, you might want to head for the Sunshine State. Florida, Kines said, is one of the only states in the country that isn’t likely to experience chilly weather over the next week. Not long ago, it would have taken several years to run a high-resolution simulation on a global climate model. But using some of the most powerful supercomputers now available, Lawrence Berkeley National Laboratory (Berkeley Lab) climate scientist Michael Wehner was able to complete a run in just three months. What he found was that not only were the simulations much closer to actual observations, but the high-resolution models were far better at reproducing intense storms, such as hurricanes and cyclones. The study, The effect of horizontal resolution on simulation quality in the Community Atmospheric Model, CAM5.1, has been published online in the Journal of Advances in Modeling Earth Systems. Using version 5.1 of the Community Atmospheric Model, developed by the Department of Energy (DOE) and the National Science Foundation (NSF) for use by the scientific community, Wehner and his co-authors conducted an analysis for the period 1979 to 2005 at three spatial resolutions: 25 km, 100 km, and 200 km. They then compared those results to each other and to observations. One simulation generated 100 terabytes of data, or 100,000 gigabytes. 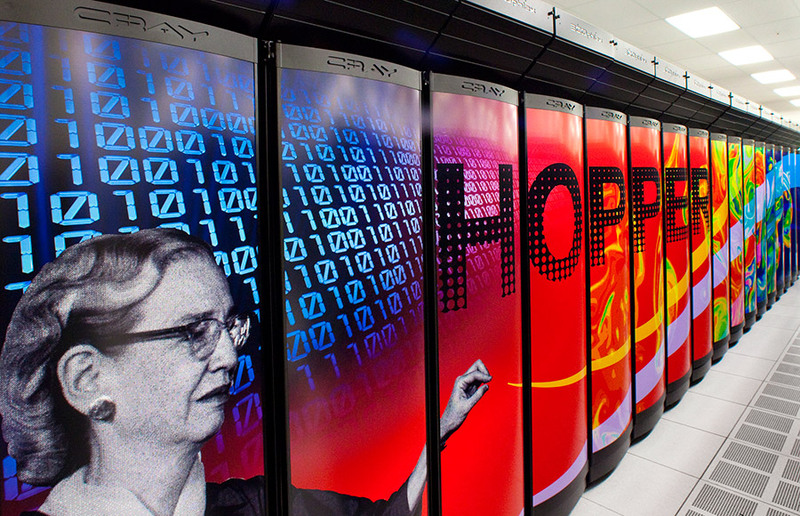 The computing was performed at Berkeley Lab’s National Energy Research Scientific Computing Center (NERSC), a DOE Office of Science User Facility. “I’ve literally waited my entire career to be able to do these simulations,” Wehner said. The higher resolution was particularly helpful in mountainous areas since the models take an average of the altitude in the grid (25 square km for high resolution, 200 square km for low resolution). With more accurate representation of mountainous terrain, the higher resolution model is better able to simulate snow and rain in those regions. The high-resolution model produced stronger storms and more of them, which was closer to the actual observations for most seasons. “In the low-resolution models, hurricanes were far too infrequent,” Wehner said. Wehner says the high-resolution models will help scientists to better understand how climate change will affect extreme storms. His next project is to run the model for a future-case scenario. Further down the line, Wehner says scientists will be running climate models with 1 km resolution. To do that, they will have to have a better understanding of how clouds behave. The paper’s other co-authors include Fuyu Li, Prabhat, and William Collins of Berkeley Lab; and Julio Bacmeister, Cheng-Ta Chen, Christopher Paciorek, Peter Gleckler, Kenneth Sperber, Andrew Gettelman, and Christiane Jablonowski from other institutions. 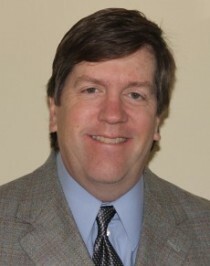 The research was supported by the Biological and Environmental Division of the Department of Energy’s Office of Science.